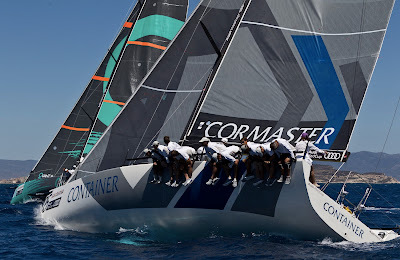 After several rounds of negotiations in Palma, Majorca, Melbourne yachtsman Jason Van Der Slot has successfully purchased the TP52, Container. Van Der Slot together with his tactician, Barney Walker journeyed to Palma last week to inspect the boat along with one other fifth generation TP52 built for the Audi MedCup Circuit that is currently for sale. Previously owned by Udo Schütz, the 2011 Judel-Vrolijk was built at Green Marine in England and made her debut in the 2011 Audi MedCup. Container is the sister ship to the Swedish-British TP52, RÀN. 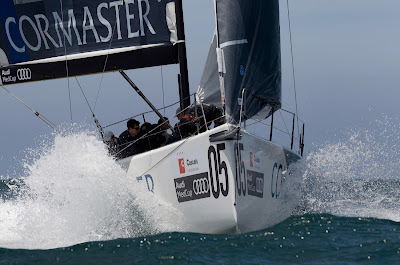 The boat is due to land on Australian shores in June/July 2012 and will be race ready to compete in the Melbourne inshore racing season. There are no plans to take the boat offshore in 2012 and Van Der Slot will again campaign his fourth generation TP52, Calm co owned with John Williams in the 2012 Rolex Sydney Hobart Race. “After looking at a number of options we decided that Container was the best boat for us and the Australian conditions and is a good all round yacht given it’s performance in Med,” Van Der Slot said. 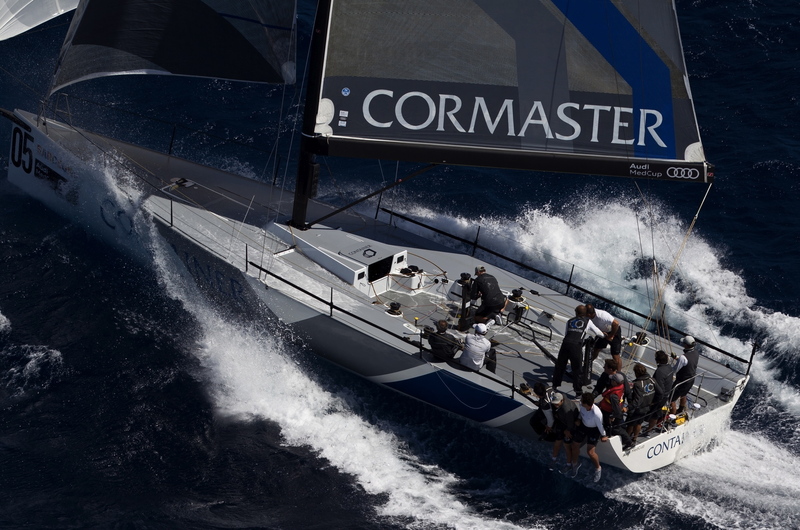 “Later on we will likely make some modifications to optimise the boat for offshore racing,” he added.